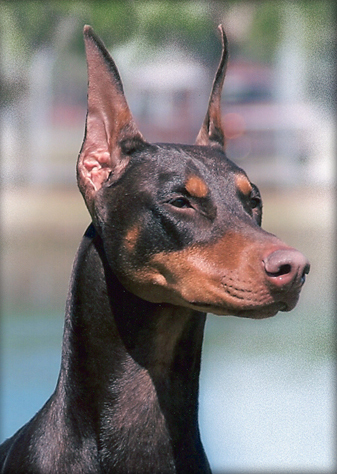 Here at Blackjack Dobermans, our Dobermans are members of our family. We share our home with 3 Dobermans, Solo, Rach and Tira. We hope you enjoy our website. Spend some time reading 'about us' and take time to look at the pictures of our 'kids'. Solo's puppies from both of her litters are out winning and she is now a Champion producer!